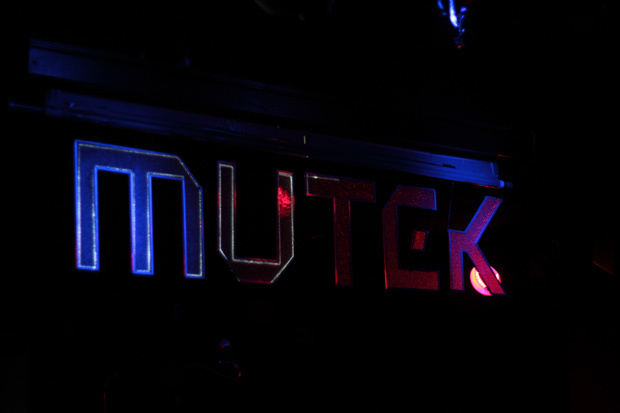 Already immersed in preparations for the 4th edition of MicroMUTEK, the MUTEK.ES team is pleased to take a moment to look back at the busy year that took place between festival editions. Following a successful 3rd festival edition last February 2012, MUTEK.ES put on a memorable Piknic Electronik event featuring DJ Koze, Ernesto Ferreyra, Deadbeat (Live), Nerone and EZLV on Sunday July 15th at the Antiguo Parque de Atracciones – Montjuïc (Jardins de Joan Brossa). Good music, lots of sun, beautiful location and a cool crowd changed Barcelona’s usual Sunday ambiance into something special that day. Five days later, on July 20th, the team landed at the Nitsa Club in order to present Guillaume Coutu Dumont & The Side Effects live for the first time in Barcelona. Funk, house, techno, gospel, swing, and afrobeat were supplied with the help of band members Alexis Messier (electric guitar), Nicolas Boucher (piano), Marc Barrite aka Dave Aju (voice) and Sébastien Arcand Tourigny (saxophone), who were guided by Coutu-Dumont’s live sequences and drumming. 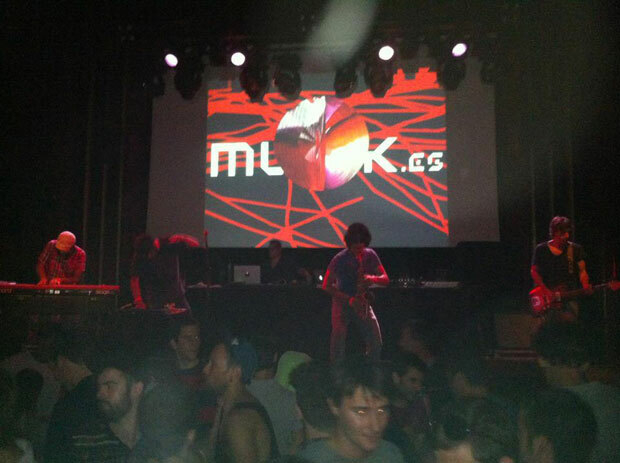 September took on a decidedly Canadian flavour when the city of Barcelona presented Montreal as the invited city of honour within its major festivals and events such as La Mercè, where MUTEK.ES was an invited representative for the Barcelona Acciò Musical [BAM]. 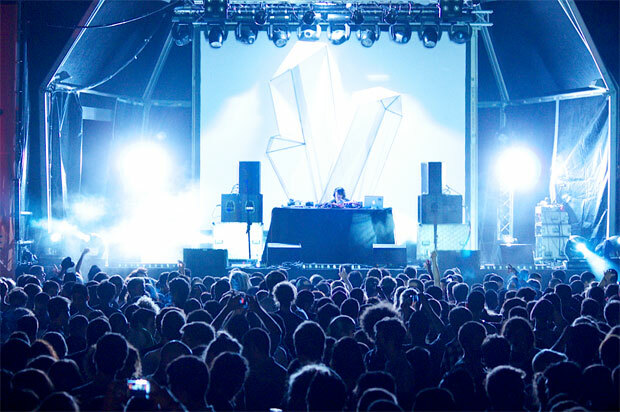 MUTEK’s impressively-designed outdoor stage at the Parc del Fórum (BCN) showcased local act Hearbirds, Canadian Poirier and UK’s Ikonika, who treated thousands to a night of dubstep, bass, Tropical bass and Bass-music. At the end of October (25-27) the MUTEK.ES team put on our winter coats, toques and mittens, and headed north with two planes only to land some 300km from the Arctic Circle in Tromsø, a small student town located on a tiny island within the vast northern landscapes of Norway. The mission: taking part in the INSOMNIA FESTIVAL and sharing the stage wtih artists such as Thomas Knak, DJ Uijui, Portable, Emika, Gus Gus, Reykjavik, Röyksopp, Alejandro Paz and many more. Guillamino and Band took over one of the three stages at Insomnia to close the festival’s Friday night; Nikka & Alba G Corral presented “The Space in Between”, an audiovisual journey that filled the spectacular venue, an old cinema from the turn of the century. Nerone took charge of getting the night started on Friday. And only a few days ago (Nov 9th) we celebrated another SOIRÉE MUTEK at the Sala BECOOL with Canadians Deadbeat, who presented his latest work Eight, released on his own BLKRTZ label, and Danuel Tate, a producer and instrumentalist known for taking charge of the keyboard and vocoder in beloved group COBBLESTONE JAZZ. Despite not having stopped since last February, we’ve had time to prepare many surprises for this upcoming edition, which we can’t wait to share with you! #staytuned.